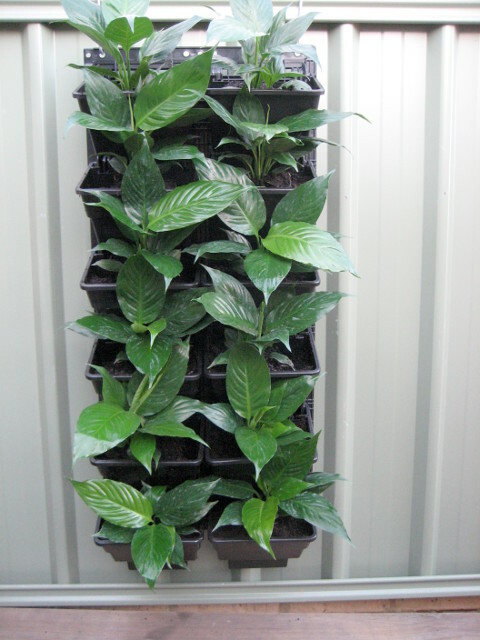 All Vertical Gardens come either unplanted or planted with established plants. 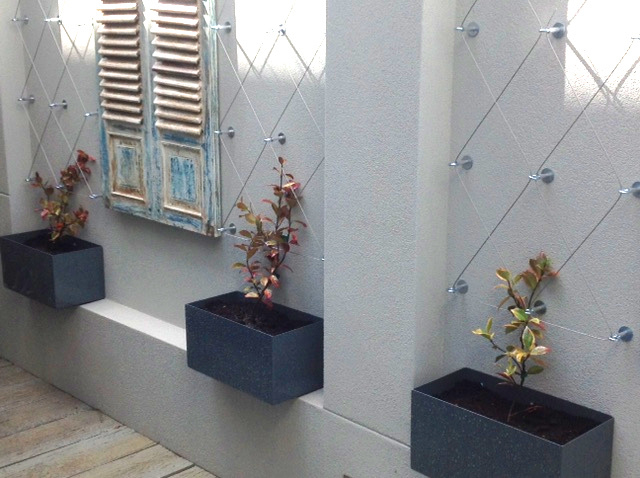 The system comes as DIY, supply and install or supply, install and planted. Large commercial gardens are gladly and competently accepted and completed. 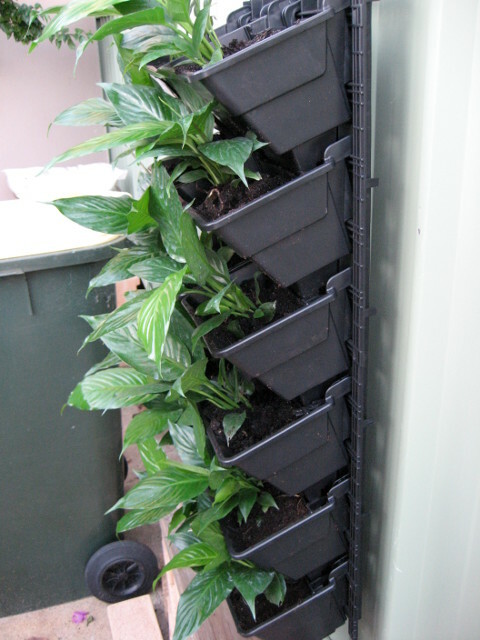 Each kit has one mounting panel & 12 self locking pots. 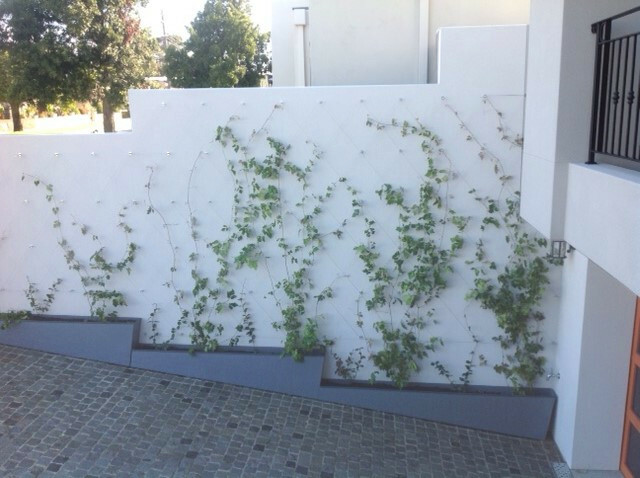 The VersiWall is an easy to install and low maintenance modular vertical greening system, with a choice of mounting, planting density and growth media options to suit different wall conditions. 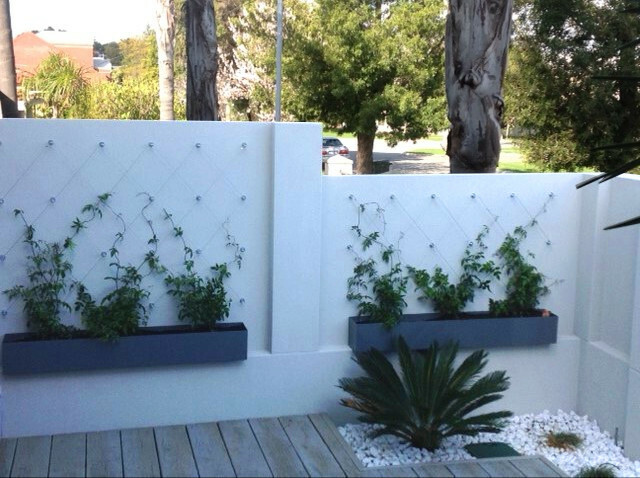 Can fit to walls, hang on mesh and colourbond fences. Intergrated watering system available upon request. 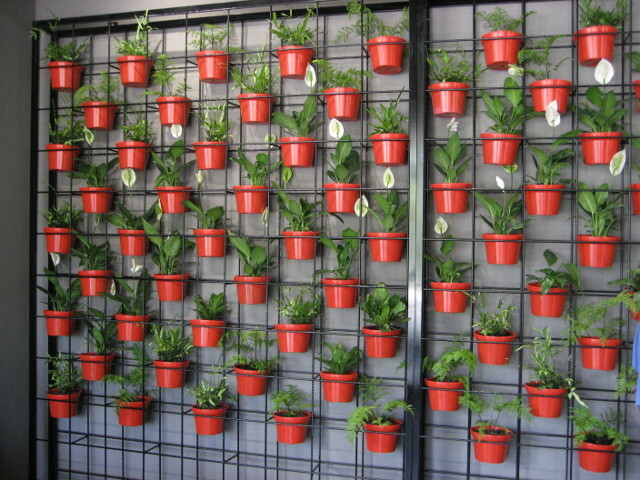 VersiWall can be made into any size and dimension. Size 800 x 720 x 125mm. 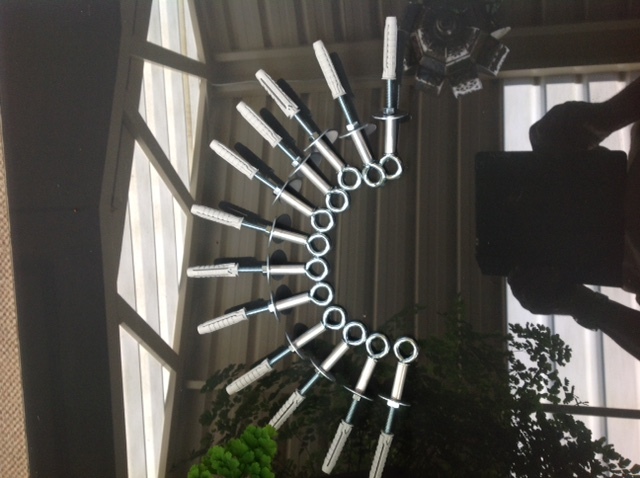 Holds 12 advanced plants. Can be extended to almost any size. Intergrated Watering system with perpetual timer for Growall System. This system is made 1m wide x 2.3m high. It comes with 25 pots. Pot colours are red, black, white, green or terracotta. The frames are white or black but can be coloured by request. 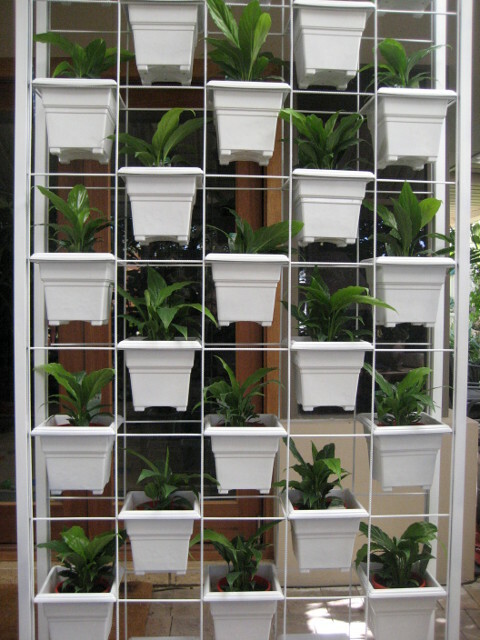 This system can be watered by hand or by reticulation. Custom sizes can be made. Wide variety of pot colours. 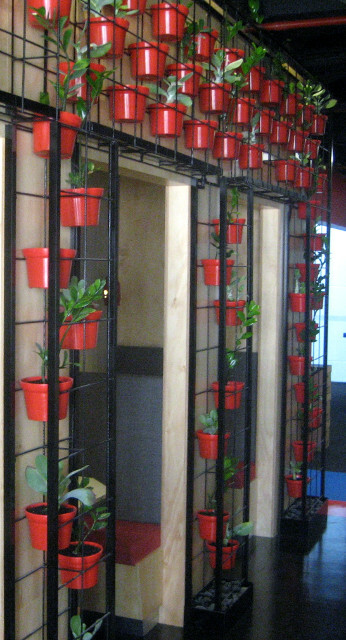 This Tower Garden is suitable for small areas, reception areas, work stations and homes etc. 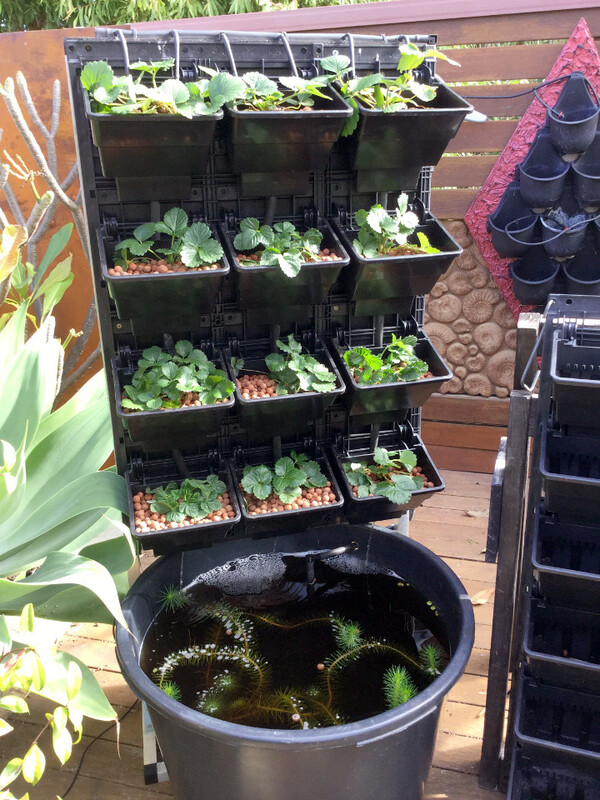 Self watering with pump etc. Height is 2m x 400 x 400mm. Plants included. 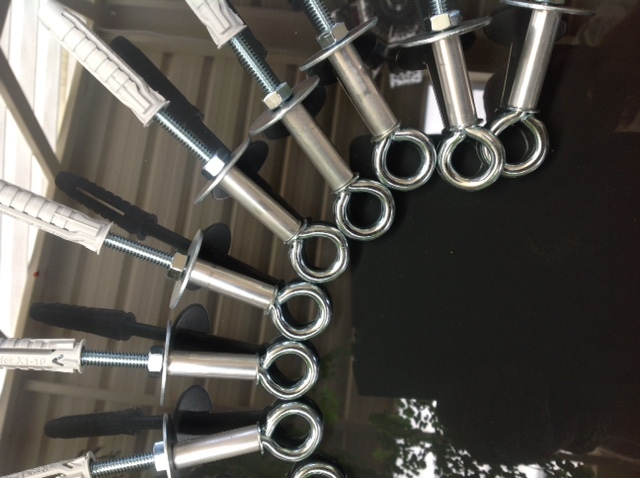 Sets of standoffs with plugs for installation into walls for 2mm stainless steel wire. Set of 12 would cover 600 x 1200mm or 800 x 1500mm depending on spacings. 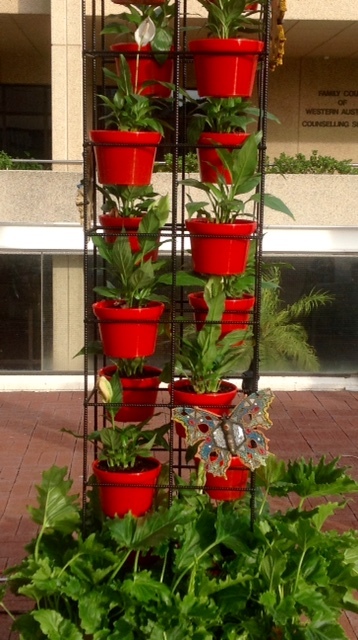 Small aquaponic/hydroponic vertical garden for the balcony, suit herbs, small vegies, strawberries etc (ex show gardens). 1m x 2.1m fully planted and self contined watering system. Delivery and pickup in Perth area included in price. 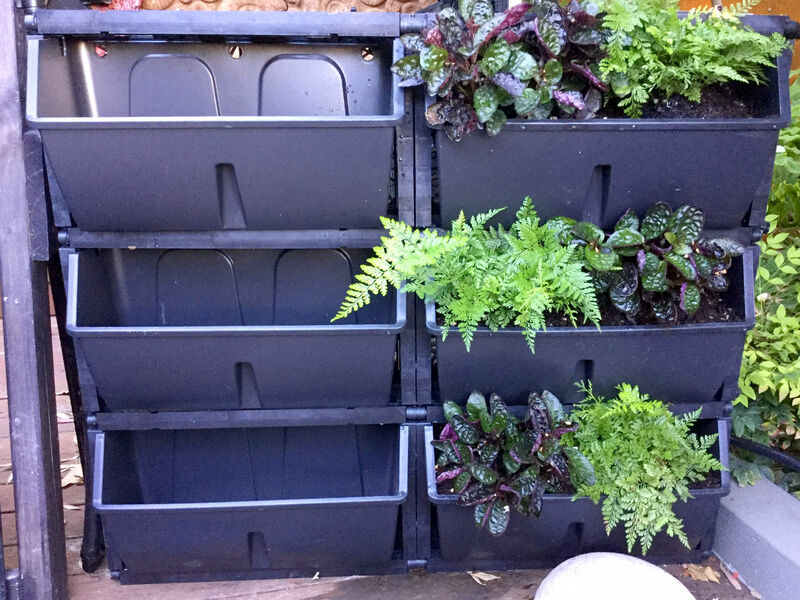 Both hydroponic and soil blends vertical gardens made to customers specifications. Note - All prices are plus freight. 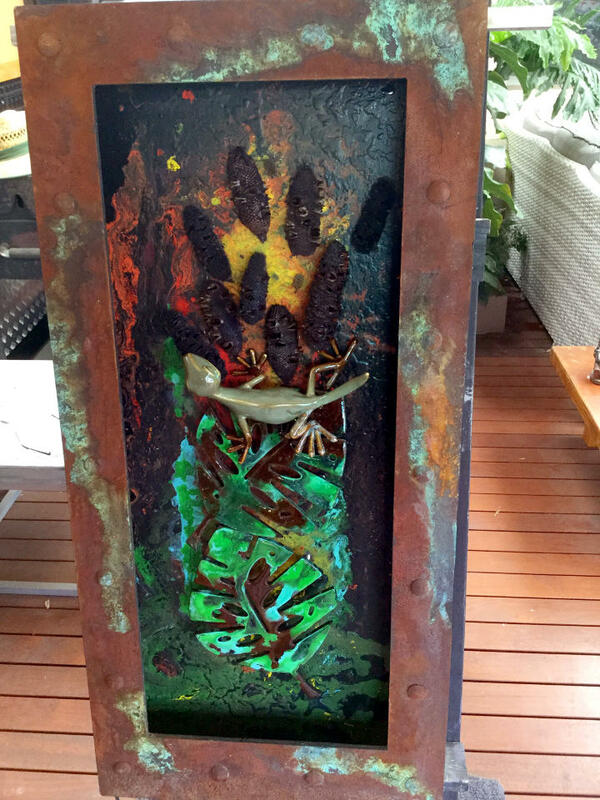 Enhancing their client's gardens with add-on garden art or customised lighting is easy enough by using unique pieces often created for a specific client or garden is where Ray's skills as an artist comes into play. 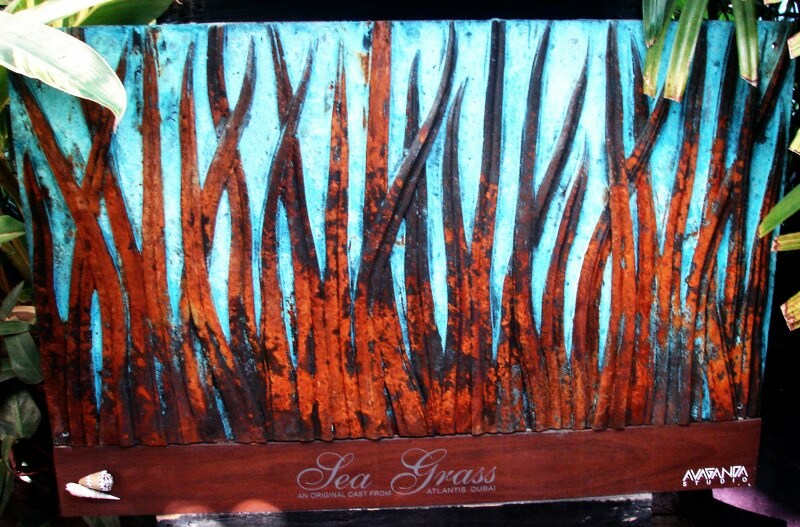 Ray's studio, AVAGANDA turns out wall plaques in concrete, resin, or cast metals such as copper, bronze, brass and pewter. These are from originals commissioned for clients such as the Atlantis Hotel on the Palm Jumeriah in Dubai or from ruins such as Persepolis in Iran, just to name a few. Working with skilled sculptors here in Perth he regularly creates commissioned pieces for numerous overseas galleries and clients. Wall and fence screen panels, garden gates, planter boxes all so very different can be made for you, the individualist gardener. 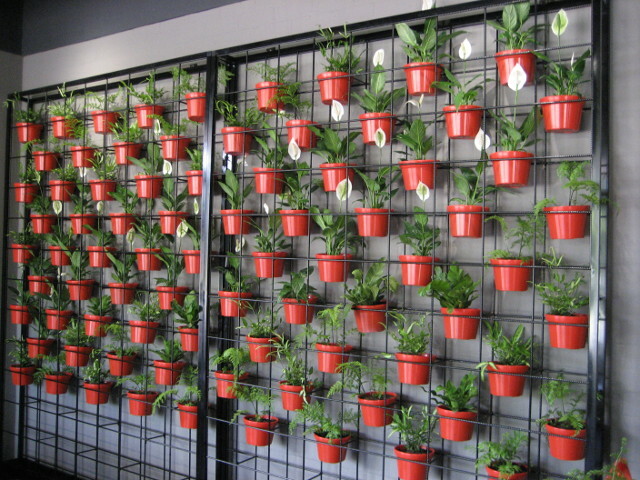 Now with his new medium of living plants he is again pushing the boundaries of creativity. However Ray and Susanne will never discard their gardening roots and with their garden landscaping company Garden Rescue continue to turn peoples gardens into areas of tranquility and lovely ambiance. 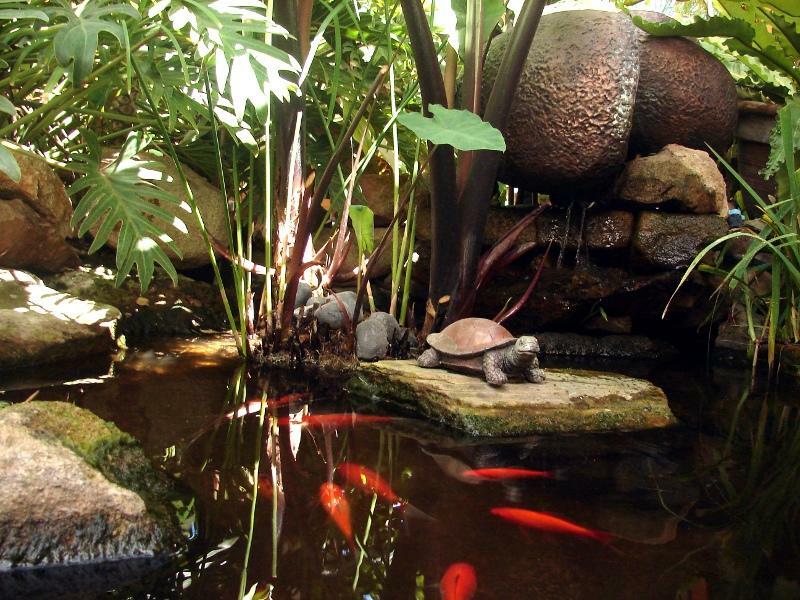 Ray is a qualified Landscaper and Horticulturalist, Susanne a Horticulturalist and their specialty of creating exotic tropical or small courtyard gardens that work is gaining them renown for their skills. They are specialising in small garden and courtyards. They can turn a dull hot spot into a beautiful cool haven. Espaliered trees grown back onto walls, is a lovely feature they use a lot of, in creating cooler gardens. Roof Gardens, a relatively new concept is gaining popularity. 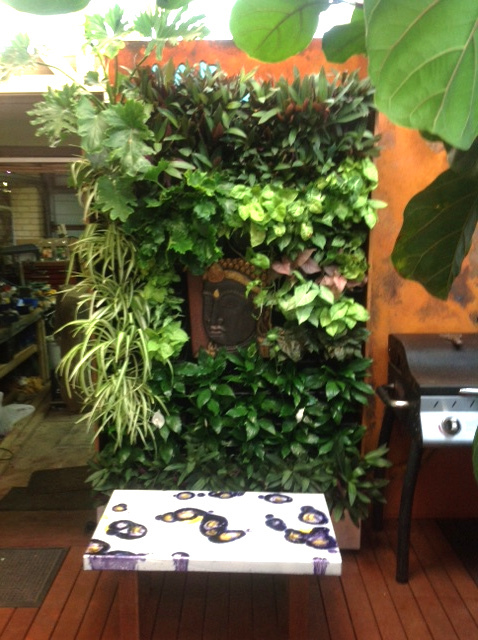 Vertical Gardens WA is fully experienced in creating uplifitng green areas for space strapped clients. Any garden on the ground can be reproduced on a roof. The benefits are numerous. Apart from a coveted garden, the insulation from heat, cold and noise is impressive. With almost no excess water run off and improved air quality and appreciation of home values why wouldn't anyone want one.